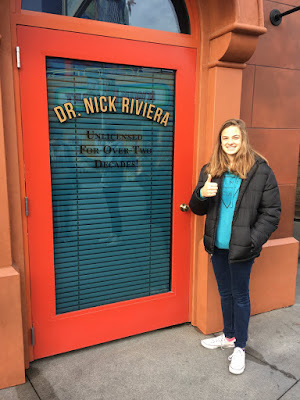 This past January, my wife kids and I were in Los Angeles for a couple of days to see the Rose Parade, and local sights. 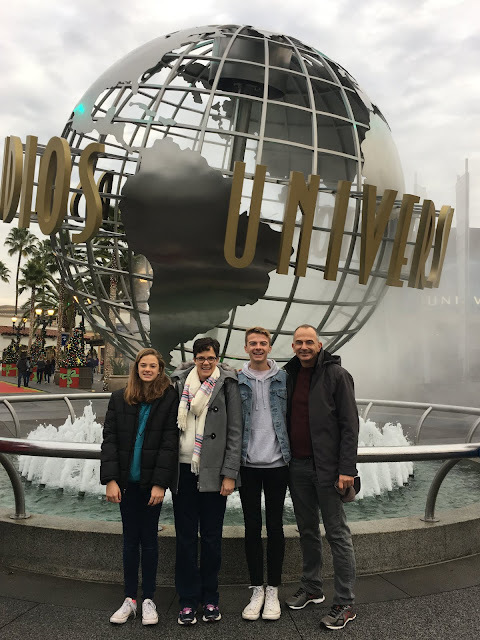 We topped it off with a trip to Universal Studio, Hollywood. We lived in Los Angeles for almost five years, but never took our kids to Universal. They were just too young, and we had other options that were more age appropriate - like Legoland in San Diego, as well as Disneyland and Knott's Berry Farm. The big draw, the HUGE draw at Universal is the new Harry Potter land, officially known at "The Wizard World of Harry Potter." Universal actually opens this section a full hour earlier, just to handle the crowds. While this was our first time to Universal Studios, Hollywood - it was not our first time to see Harry Potter. Our family was actually on a work-related trip in Florida back in 2012, and visited the original Orlando Wizarding World of Harry Potter. 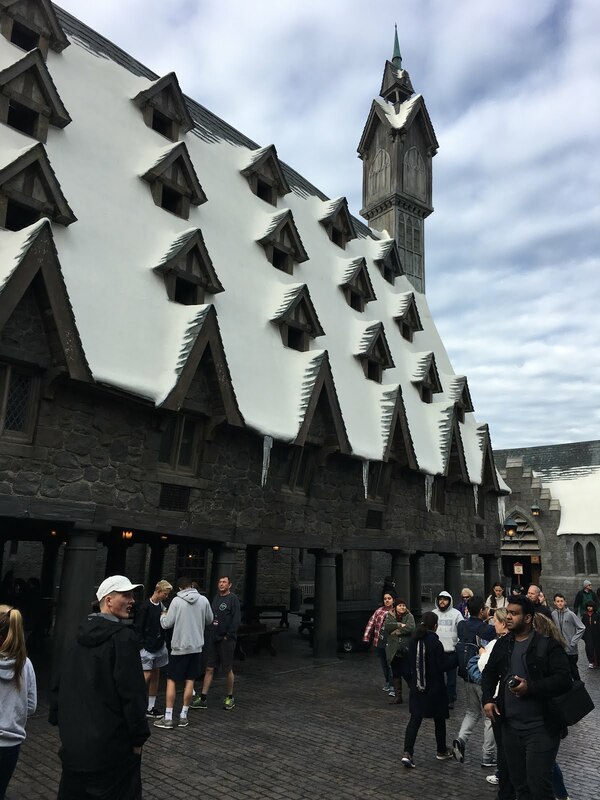 While a duplicate of what's in Orlando, the Wizarding World is honestly very well done. The morning we were there it was pretty nippy - in the 40's. That's practically arctic by Southern California standards. The high for the day was only 59, our jackets weren't for show. Love how some people were walking around in shorts. 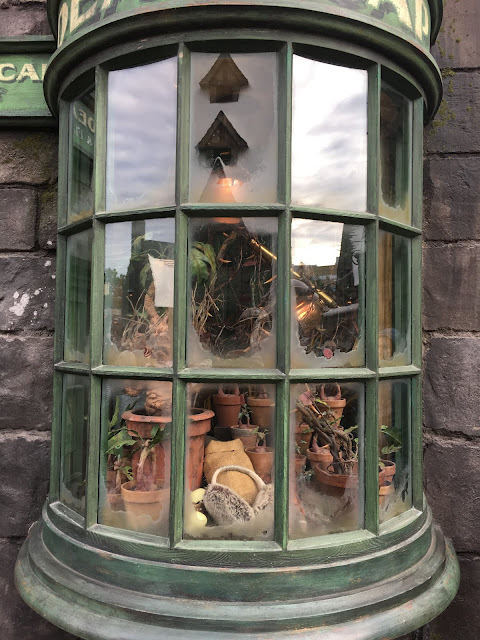 The entire area was designed to look like Hogsmead, the mythical village just outside of Hogsworth - the massive castle from Harry Potter stories. Shop windows to enjoy. Very well themed. I've never read the books (sorry) and only seen bits and pieces of the various films. Our kids, on the other hand, have enjoyed both the books and each of the eight different films. 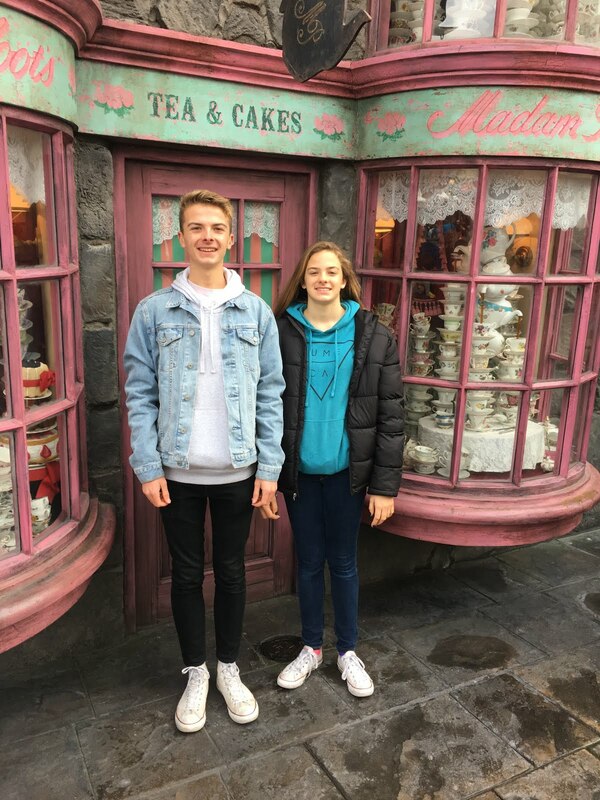 They were just 12 and 10 when we were in Orlando - to it was fun for them to be back as teenagers. The stores look small because they are small. They really feel like something right out of the books or movies. The downside is this entire area is incredibly popular, and get very crowded, and those little stores are absolutely packed. The big signature attraction is "Harry Potter and the Forbidden Journey." We were there during the two week Christmas/New Year Holiday Season. In terms of crowds, this is honestly the absolute worst time to go. But for us, like other out of town guests, it was the only time that worked. According to a local news report, Universal Studio Hollywood had their highest attendance EVER the day before (on January 2, 2017), breaking all records and closing their gates for the first time ever. The next day, the day we were there, was almost as crowded. Fortunately, at 8am when we showed up, it wasn't bad and the ride was a walk on. By midday, people were waiting over three hours for this one ride. The ride in California is the exact same as the Florida version. For us, the ride was "good, but not great" - not as amazing as the first time we went on it in Florida. In my opinion, it is no where near as repeatable as some of the classics over at Disneyland. 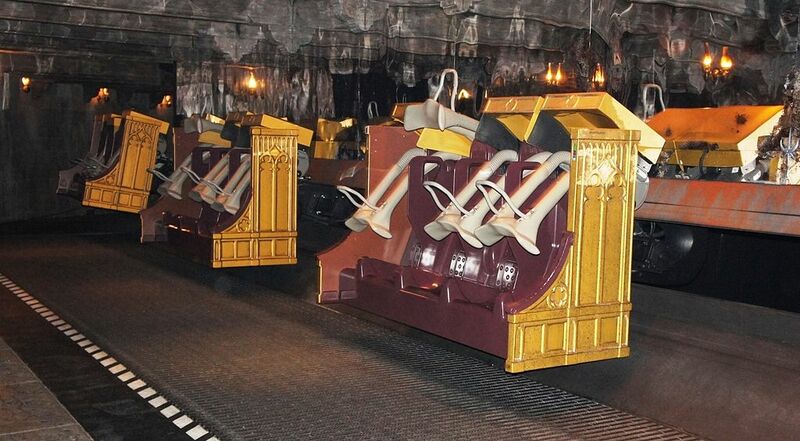 According to Wikipedia: "Harry Potter and the Forbidden Journey uses KUKA robocoaster technology, which allows the seats to pivot while being held above the track by a robotic arm." The ride is really an advanced simulator, traveling through various scenes from the films, projected onto large screens. "The ride drops, spins around, twists and turns, but does not turn upside down, though passengers sometimes lie flat on their backs. Over-the-shoulder bars are used to secure guests in their seats." Unfortunately for us, the ride broke down while we were on it. Unlike, say something like Disneyland's Haunted Mansion, were were very strapped in, tipped slightly forward, and could not move. We were in front of a large screen, what - of course - went blank when the ride stopped. With a heavy jacket on, I began to feel very trapped. The air in the room was stale and I was doing my best not to panic. We had no idea if we'd be sitting there for 2 minutes or 20 minutes. I'm in my mid 50's, I've been on hundreds of amusement park rides over the years. Sorry Universal, but this was the worst experiences I've ever had on any ride. That said, it's hard to recommend. If you do go, don't wear a jacket or sweatshirt. They have complimentary lockers. Use them, even if it means getting a little cold waiting in line - that won't be a problem in the summer months. Know that the ride could breakdown. Universal has to find a better solution. Part of the ride, you're literally sideways. That's fine for a couple of seconds - but are you trapped sideways if the ride breaks down? Yikes, what a mess. Once we got off, I asked for front of the line passes (they weren't giving them out unless you asked). I had no interest in going on it right after we got off, but I was with my kids and figured I'd give it one more try in the afternoon (leaving my jacket in a locker, and knowing the ride might break down). There is really only one other ride in Wizard World - a short roller coaster called "The Flight of the Hippogriff". It's really for younger kids. There was no line, but even then my teenagers weren't interested. At 9am, the opened the rest of the park including the Simpson's Land opened. The one ride is "The Simpson's Ride" - you enter through Krusty the Clowns mouth. More on that in a bit. For fans of the Simpsons, you'll find the Kwik-E-Mart - actually a gift shop. 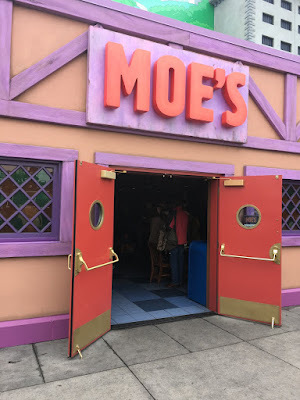 Moe's Tavern - which is actually just a restaurant. And assorted fake entries, featuring Simpson's regulars like Dr. Nick Riviera. 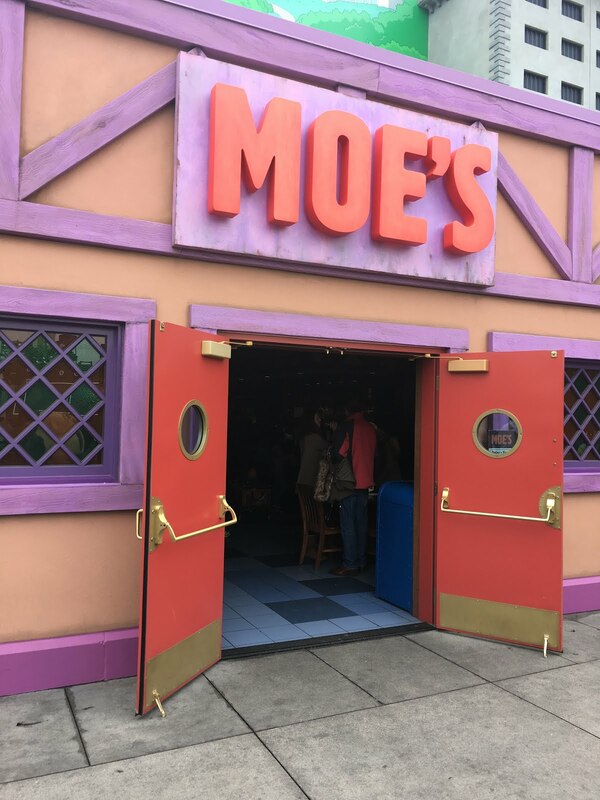 We got in line for "The Simpson's Ride". Show up first thing, and there's almost no line. We probably waited five minutes, max. Very funny if you're familiar with The Simpsons. Not sure how the jokes would go over if you're never seen the show. 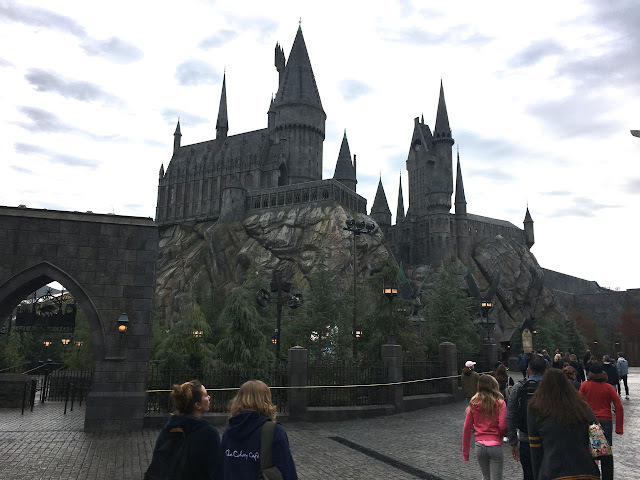 Much more so than other amusement parks, Universal Studios is based on the assumption that you're already familiar with movies and shows their rides on based on. 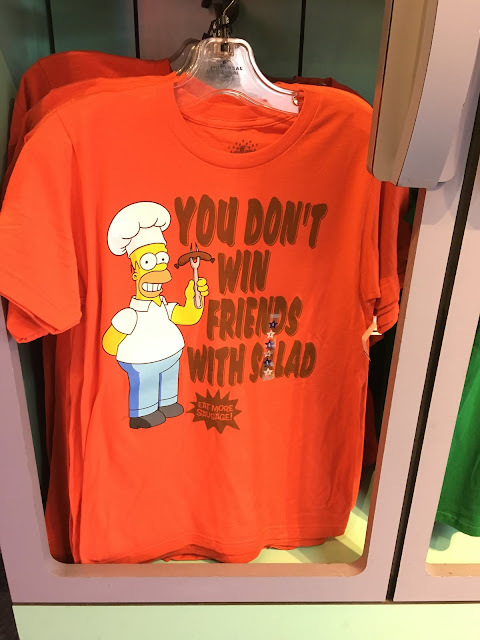 The Simpsons itself was another motional simulator. What's with the motional simulators? I know Universal Studios is about movies - but my kids were wondering "where are the actual rides?" I thought it was interested that the only two themed lands at Universal "The Wizarding World of Harry Potter" and "The Simpson's Land" aren't based on Universal intellectual properties. The Harry Potter series is from competitor Warner Brothers, The Simpsons from Fox. We paid over $400 for our family to get in. It was 10:00am, and we started wondering "so what else is there to do?" That's never good. We decided to try the Studio Tour, in many ways Universal's signature attraction. More on that next time.